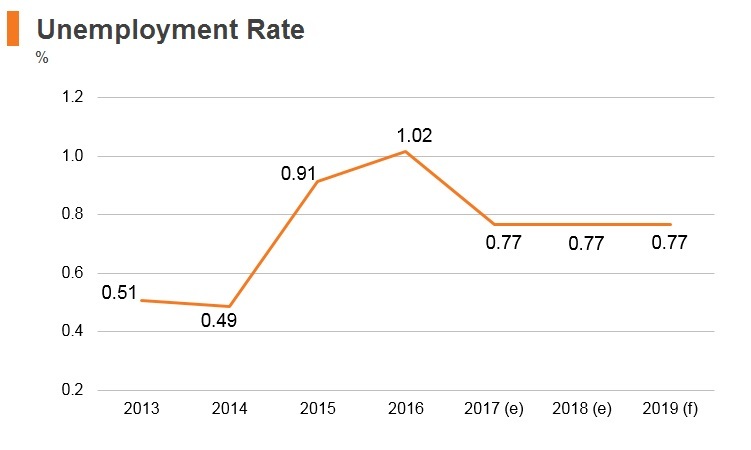 Belarus' gradual transition has been characterised by limited structural reforms and a modest expansion of the private sector. Economic growth has been accompanied by a substantial decrease in the number of households below the poverty line and an increase in household income among the bottom 40%. However, the factors that enabled Belarus' past achievements are no longer in play. The capacity of capital accumulation to drive economic growth is exhausted, energy subsidies stemming from bilateral agreements with Russia are smaller and public debt ratios to GDP are rising. Unlike regional peers, such as Poland and Ukraine, Belarus has underperformed in terms of its openness to foreign direct investment (FDI). 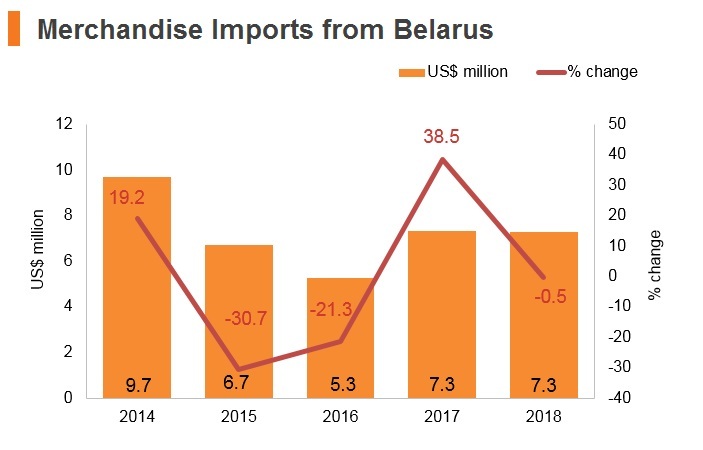 Non-Russian foreign investors face significant barriers to entry and operation in Belarus, where the economy is dominated by large, highly indebted state-owned enterprises which limit private sector competition and warp the business landscape. A sustainable improvement in living standards will, therefore, require economic, social and institutional transformation, with an enhanced role for private enterprise – among others. President Alexander Lukashenko made a state visit to China during which the two countries agreed to advance the Belt and Road Initiative as well as strengthen the synergy between Belt and Road development and the development of Belarus. The World Bank's Country Partnership Framework for 2018-2022 for Belarus, with a lending programme until 2022 (estimated at USD570 million), was endorsed. Assistance would focus on creating opportunities to expand the private sector and promote more efficient public investment. President Lukashenko dismissed Prime Minister Andrey Kabyakow and several key ministers. Sergei (Syarhei) Rumas, the former head of the development bank, took over. President Lukashenko voiced concern over Russia's planned introduction in 2019 of a new tax regime for oil which would potentially cost Belarus billions of dollars because of its re-exports of refined oil to the European Union (EU) and Commonwealth of Independent States. The presidential election will be held no later than the end of August 2020, with parliamentary elections due on September 10, 2020. Belarus, a founding member of the Eurasian Economic Union (EAEU), serves not only as a gateway to the EAEU's other signatories – namely Russia, Kazakhstan, Armenia and Kyrgyzstan – but also to the whole regional market. Every year more than 100 million tonnes of European cargo crosses Belarus, of which 90% is bound for either Russia or the EU. Of course, Belarus' strategic location and role as a transport gateway at the crossroads of east-west and north-south trade routes also makes the country of current and future interest to those wanting to develop transportation initiatives to connect Asia with markets in central and western Europe. Under Belarus’ membership of the EAEU or EEU, products made in Belarus can be treated, subject to the country of origin rules, as Belarusian-made and exportable tariff-free to the other EAEU markets. 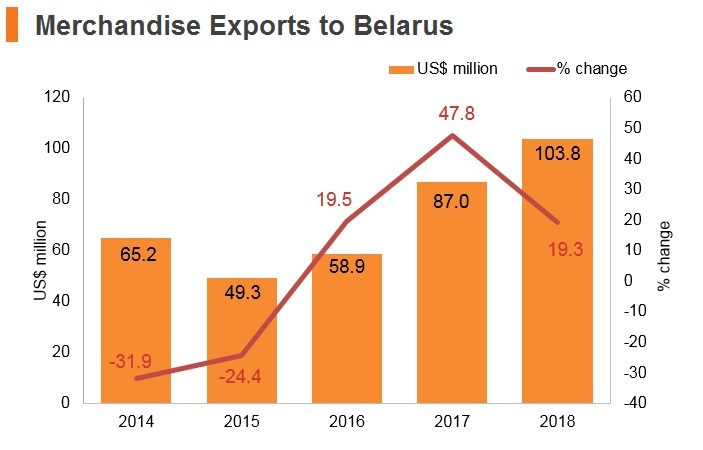 This, coupled with the country’s geographical proximity to most of the markets in Europe and well-connected road and rail transportation networks–helps to make Belarus an attractive destination for foreign manufacturing companies. Belarus has been fulfilling all of the World Trade Organisation (WTO) obligations since 2012. As these obligations, as well as Russian's obligations in the WTO are the basis of the EAEU legislation. In 2016, a new composition of the Interministerial Commission on Belarus’ accession to the WTO was set up. It is headed by the First Deputy Prime-Minister of Belarus. Apart from the Government authorities, the commission includes representatives of business associations and non-governmental organisations. Ambassador-at-large of the Ministry of Foreign Affairs was appointed as a chief negotiator for Belarus' accession to the WTO. 'As of 2017, there have been clear signals that Belarus sees WTO accession as one of the priorities for the government. This renewed high-level political engagement from Minsk has injected new impetus into the process and is very much supported by the WTO members', said Ambassador Kemal Madenoğlu (Turkey), chairperson of the Working Party. The 12th Ministerial Conference on the matter of Belarus' accession will be held in June 2020 in Astana, Kazakhstan. Belarus has few mineral resources of its own and, therefore, is striving to stimulate foreign investment to promote privatisation, economic restructuring and innovative development. Priority areas include pharmaceuticals, food, transport and logistics, chemistry and petro-chemistry, mechanical engineering, renewable energy and IT. The dairy exports ban between Belarus and Russia in March 2018 highlighted a pitfall of the EAEU. The EAEU also underpins Moscow's assertiveness when it comes to keeping Minsk within its sphere of influence and preventing its neighbour from drifting towards the EU. 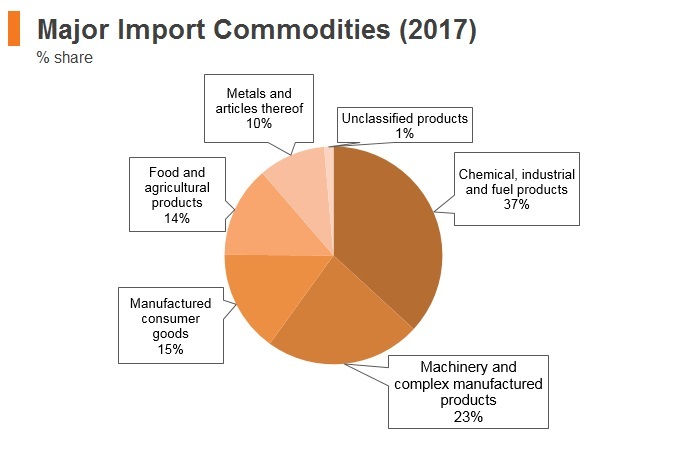 According to official data, in 2017 Belarus exported over USD5 billion worth of food and agricultural products in total, making it the fourth-largest export industry in Belarus, behind refined oil products, manufactured consumer goods, and machinery. 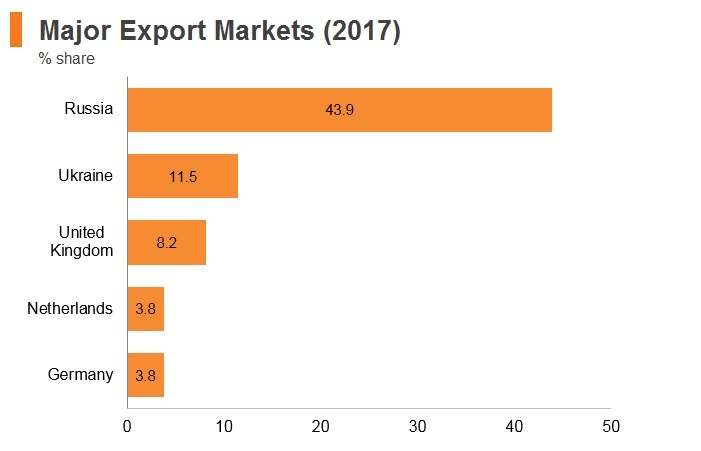 Additionally, Russia is Belarus' largest export market, with the Russian market representing around 70% of food exports. In August 2017, the president of the United States, Donald Trump, signed into law a bill imposing increased sanctions on Russia. This stance meant that in June 2017 the United States sanctions against Belarus were extended for another year. Some relief to these sanctions was first granted to Belarus in 2015 by the then-president, Barack Obama, in an effort to better engage with the country. EAEU: The EAEU allows for the free movement of goods, services, capital and labour and pursues a coordinated, harmonised single policy in the sectors determined by the treaty and international agreements within the union. The member states of the EAEU are Armenia, Belarus, Kazakhstan, Kyrgyzstan and Russia. The launch of the EAEU in January 2015 marked a step forward in the formation of a common market based on the norms and principles of the WTO. Firms benefit from a large population and high industrial, scientific and technological potential. Firms within member states already trade extensively with each other and this will boost mutual growth in the medium term. However, they remain removed from the EU and other major trade blocs. The Commonwealth of Independent States Free Trade Area (CISFTA): This Free Trade Agreement (FTA) is in force between Russia, Ukraine, Belarus, Uzbekistan, Moldova, Armenia, Kyrgyzstan and Kazakhstan. The free trade zone (FTZ) was designed to reduce all trade fees on a number of goods between participating countries. Overall, the move will induce investments in Belarus' economy, ease trade and stimulate employment. In 2014, the turnover with CIS countries (excluding Russia) was USD8.2 billion. 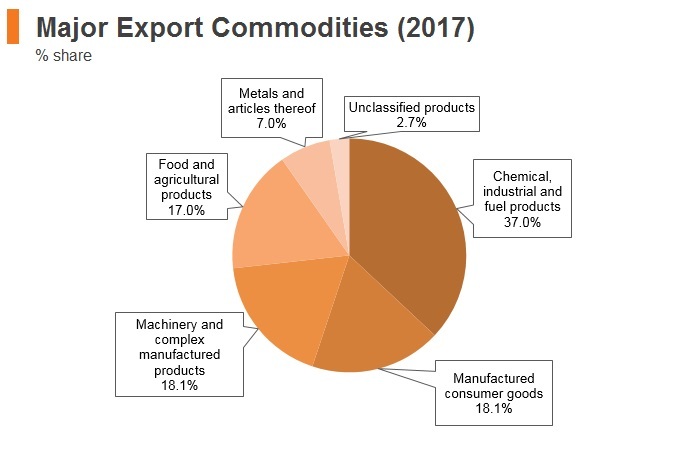 Ukraine, Kazakhstan, Azerbaijan, Turkmenistan and Moldova are Belarus' major trade partners, accounting for more than 95% of the country's exports to the CIS region (excluding Russia). Member states are, thus, aiming for more intense scientific and technical cooperation and further development in agriculture, transport, science, culture, education, sport and tourism. The agreement on the establishment of the Union State of Belarus and Russia: The strategic partnership with Russia is a result of geographical proximity, close historic and cultural links, and long-standing economic ties and cooperation between Belarusian and Russian businesses. The agreement (signed in 1999) sets up a legal basis for integration between the two countries. 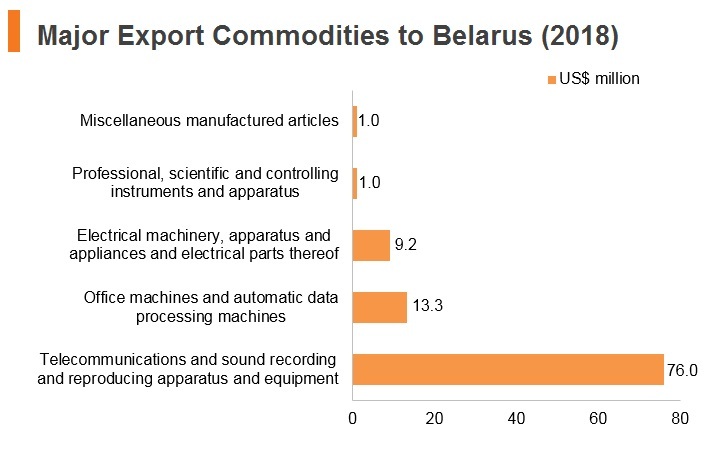 Russia is both a key trade partner and a major export market for Belarusian manufacturers. 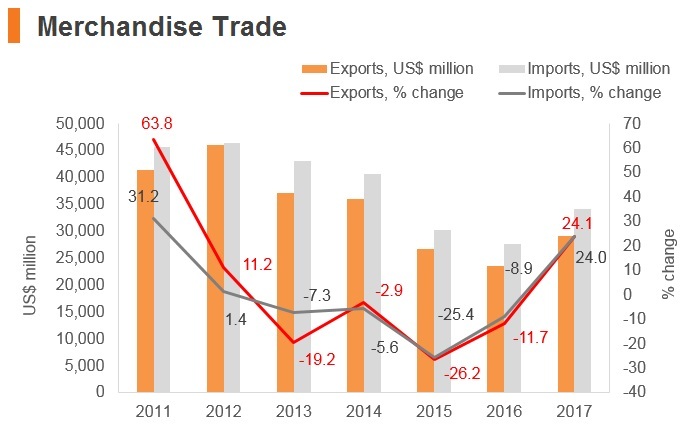 In 2017 the mutual trade amounted to USD31 billion, with exports to Russia reaching USD12.5 billion and imports from Russia reaching USD18.5 billion. Russia accounts for 50.7% of Belarusian foreign trade. 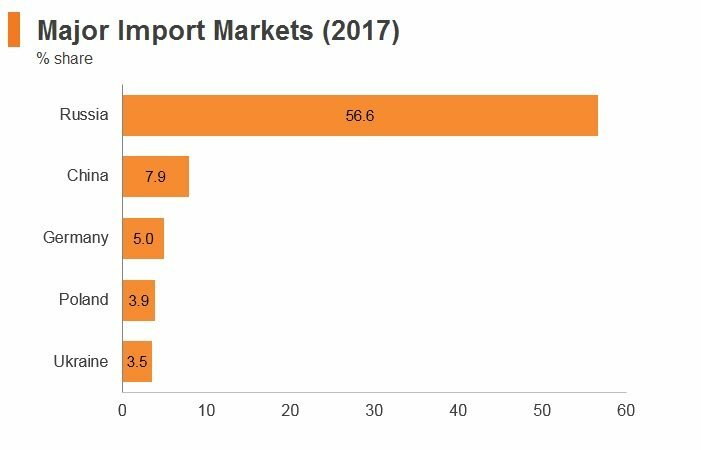 In 2017 Belarus was Russia's fourth major trading partner, behind China, the Netherlands and Germany. Belarus and Russia cooperate in the area of energy resources. Belarus contributes significantly to regional energy security by fulfilling its obligations in terms of the transit of Russian energy resources to other European countries. Along with cooperation in the framework of the union state, the two countries support strengthening of multilateral cooperation and participate actively in other integration projects in the post-Soviet era. 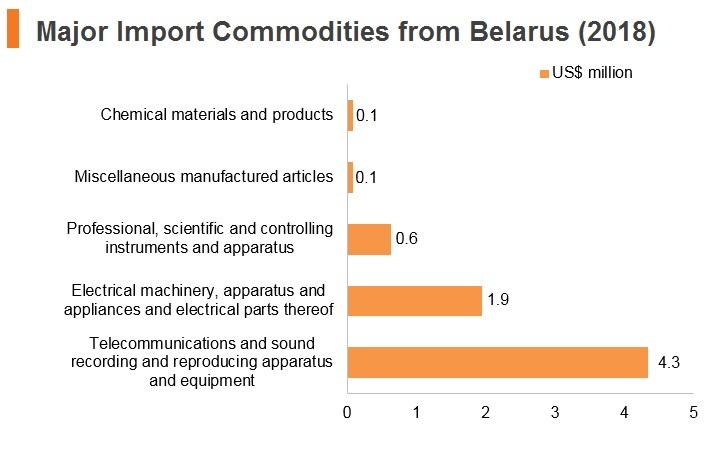 Businesses in Belarus benefit from subsidised raw materials from Russia, and economic integration with a considerably larger nation provides some financial support in times of crisis. EAEU-Vietnam: On May 29, 2015, after three years of negotiations, an FTA and economic integration agreement between the EAEU and Vietnam was signed. The agreement provides for significant tariff reduction for Belarusian exports to Vietnam (potash fertilisers, meat and dairy products, tractors, combines, trucks, refrigerators, medicines and food products). The agreement also provides for an efficient level of market protection for Belarusian producers. This agreement came into effect in October 2016. The Association of Southeast Asian Nations (ASEAN)-EAEU: ASEAN and the EAEU are negotiating to strengthen trade ties. As the ASEAN Economic Community (AEC) moves closer to completion, it is likely that the EAEU's efforts to liberalise trade with ASEAN will intensify. Firms in the EAEU can take advantage of the opportunities that this presents to boost trade with the more advanced economies in ASEAN. Companies will have the opportunity to expand these markets and service into a large consumer base. Asian fuel demand remains high and this will be of great benefit to Belarus. The two parties signed a memorandum of understanding in September 2018 on the framework for talks over the coming years. In policy, the Belarusian government maintains that it is highly welcoming of FDI. Other incentives include the country's favourable geographical location, qualified workforce and various infrastructure. 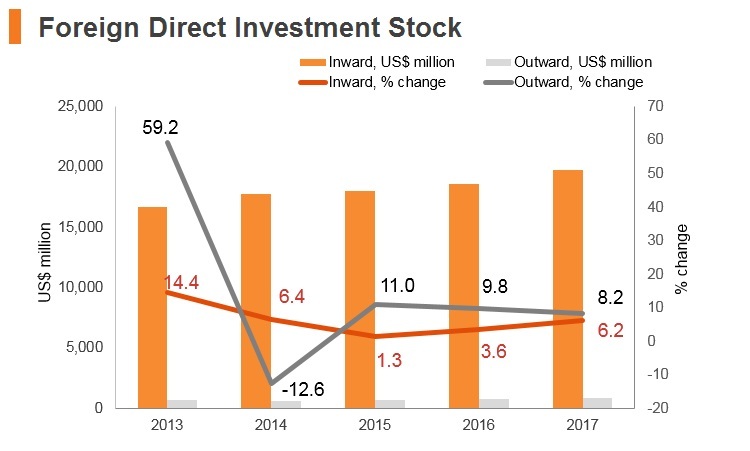 To date, FDI has predominantly focused on the transport, construction and industrial sectors, as well as the banking sector, mobile communications, commercial real estate development, food and beverage and retail. Belarus has bilateral investment treaties (BITs) in force with more than 50 countries and has signed BITs that are not yet in force, including one with the United States and a dozen others. Belarus has concluded double taxation agreements (DTAs) with 54 states, including one with Hong Kong which came into force on November 30, 2017. The Investment Code of Belarus provides for general rights and obligations for investors although it has been described as fairly ineffective. Through the National Agency of Investment and Privatization, there is a system of preferential taxation regimes for investment within free economic zones (FEZs), the High-Tech Park (HTP) and the Great Stone China-Belarus Industrial Park (CBIP), as well as significant tax benefits for companies willing to be located in small towns and rural areas. Belarus has six FEZs established until December 31, 2049. Each is a customs-free zone and has its own administrative officers to help members. Joining an FEZ confers a 40% reduction in the tax burden compared with non-membership. So far, almost 270 foreign businesses have taken advantage of the opportunity. The first FEZ was set up in 1996 in Brest, in the south west of Belarus, near the Polish border, and the six which now exist are strategically located around the country – in Minsk, Gomel, Vitebsk, Grodno, Brest and Mogilev. These zones were set up to create strong private sector enterprise and investment in Belarus and offer a wide array of incentives to both foreign and domestic investors. Businesses wanting to register within an FEZ must make a minimum investment of EUR1 million and will receive tax incentives and streamlined bureaucratic procedures. The HTP was established in Minsk in 2005 to promote IT in Belarus by offering IT firms a special regime. The regime has been extended until 2049, effective from March 2018, and the list of activities in which HTP residents can engage has been expanded. CBIP was created in 2012 with support from China as a hub for firms at the cutting edge of innovation and technology. The CBIP is located in Smolevichi near Minsk, and any company wanting resident status there must be involved in an industry such as telecommunications, pharmaceuticals, biotechnology or big data storage and processing, and must make a minimum investment of USD5 million, or USD500,000 if pursuing a research project. On January 9, 2019, the CBIP was granted the status of a territorial special economic zone (SEZ), giving companies located there the maximum customs advantages in the area of logistics and manufacturing provided for in the EAEU Customs Code (EAEUCC). The code permits territorial SEZs to be set up: One each in Armenia, Kazakhstan and Kyrgyzstan; two in Belarus; and three in Russia. As a result, the CBIP is Belarus' first territorial SEZ. FEZ: Brest, Gomel, Grodno, Minsk, Mogilev and Vitebsk - An FEZ resident is exempt from profits tax for five years beginning on the date on which profits are declared for the first time. After the end of the five-year period, the FEZ resident pays corporate profits tax at 50% of the standard rate, but the tax rate may not exceed 12%. * Profits received from goods (works and services) manufactured by an FEZ resident and sold to other FEZ residents, foreign legal entities or foreign individuals. * Profits from goods manufactured by a resident of an FEZ and realized in Belarus if the goods are defined as substitutes for imported goods on the list specified by the government and approved by the President of Belarus. - Each FEZ has its own administrative officers to help members and joining an FEZ confers a 40% reduction in the tax burden compared non-membership. Firms enjoy streamlined bureaucratic procedures. HTP - Companies resident are exempted from income tax, property tax, VAT on goods produced in Belarus, customs duties and land tax for the construction period. - Employees at the companies located there benefit from a reduced income tax rate. CBIP - Companies resident benefit from a variety of incentives, including being exempted from income tax for 10 years and a reduced rate of 50% until 2062, no property tax until 2062, no income tax on dividends for five years after the income is declared, no land tax for the first 10 years and a reduced rate for the next 10 years. - On January 8, 2019, the CBIP attained the status of territorial SEZ under the customs code of the EAEU. This means administration bodies as well as commercial companies can be located in the CBIP. In addition to the welcome simplification of various customs procedures, residents can set up clusters: One customs control zone will allow other residents to operate inside it. Residents can also rely on the principle of extraterritoriality and set up technological chains and establish corporate ties inside and outside the zone. The EAEU customs code then allows foreign products, which have been submitted to the free customs zone procedure, to be moved from the zone into the remaining territory of the EAEU. On January 1, 2019, Belarus introduced its new Tax Code aimed at upholding state budget revenue while simplifying taxation and tax reporting in order to have a beneficial effect on business activity. A variety of simplification measures were introduced, including an increase for foreign companies in the revenue tax period from one month to one quarter. - A rate of 25% applies to banks and insurance companies. 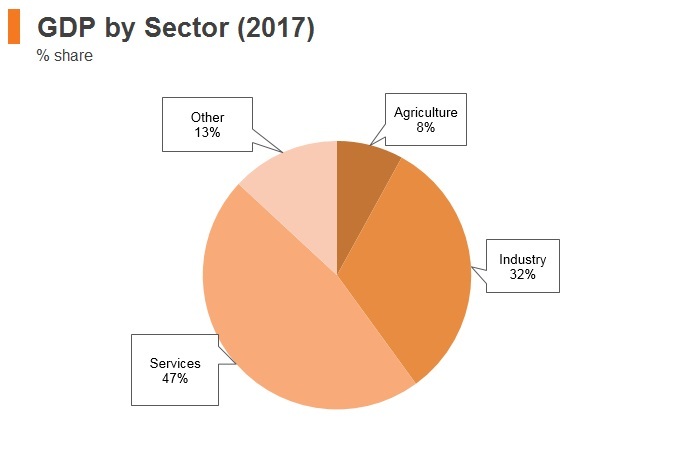 - A preferential rate of 10% applies to local supplies of crop products, livestock and locally produced fisheries, as well as to local supplies or imports of certain foodstuffs and goods for children. - Supplying goods for export and related services is zero-rated. Real Estate Taxes - Immovable property is taxed at an annual rate of 1% on the residual value of the property. - As of January 1, 2019, progressive rates for new capital contractions were introduced. In effect, the real estate tax on building being constructed will start at 0.2% in its first year and increase by 0.2% over the five years until it reaches the normal level of 1%. Social security contributions (health insurance, pension) - Belarus applies a social insurance contribution tax of 35% – 34% of which is paid by employers. Out of the 34% paid out by employers, 28% contribute to pension funds, whereas the remaining 6% goes towards general social insurance. 1% of the overall 35% rate of contributions is withheld from employees' salaries for the purpose of payment to the social insurance contribution. - Businesses are also responsible to pay for insurance involving potential workplace accidents. The rate applicable is a 0.6% flat tax. More danger-prone industries have different coefficients applied to the flat rate. If an employer wants to employ 10 foreign workers or more (excluding, for example, the CEO of a foreign company or highly skilled workers), they must apply for a special type of work permit from the Belarusian Ministry of Labour. The Belarusian government does not apply any strict caps on the number of foreign workers that can be hired and does not impose any strict hiring quotas (in terms of employing Belarusian citizens) that must be met. Only EAEU citizens and citizens of certain Commonwealth of Independent States members may work in Belarus without having to obtain a work permit. Citizens of all other states require an offer of employment beforehand, and there are various processes that must be completed before the work permit can be granted, which can be time consuming. The employer must first apply for a permit to be able to engage in hiring foreign workers from the Belarusian Ministry of Labour. Once this is obtained, various documents must be submitted to the Ministry of Labour for approval for the work permit to be granted. Foreigners temporarily staying in Belarus must register with the local unit of the Ministry of Internal Affairs within five days from the date of arrival. A presidential decree effective from July 27, 2018 introduced visa-free travel to Belarus for citizens of 74 countries for stays of up to 30 days when entering and exiting through Minsk National Airport. Key markets include all EU-member states, Australia, Brazil, Indonesia, the United States and Japan. As an important step in encouraging greater synergy between Hong Kong and Belarus, from February 13, 2018 onwards, Hong Kong citizens have been allowed to visit Belarus visa-free for 14 days after the Comprehensive Agreement for the Avoidance of Double Taxation (CDTA) between Hong Kong and Belarus came into force on November 30, 2017. The largest economic risk to Belarus comes from the overarching reliance on Russia for concessional loans and hydrocarbons exports. The state-dominated economy leaves Belarus at the mercy of external support in order to provide it with much-needed foreign exchange reserves. 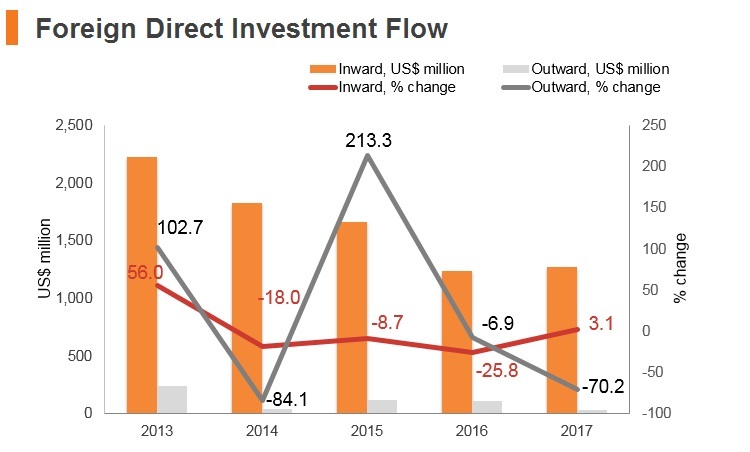 The build-up of debt at the country's state-owned enterprises and the continued misallocation of resources as a result of policy-driven lending practices will ensure that growth remains weak over the coming years. 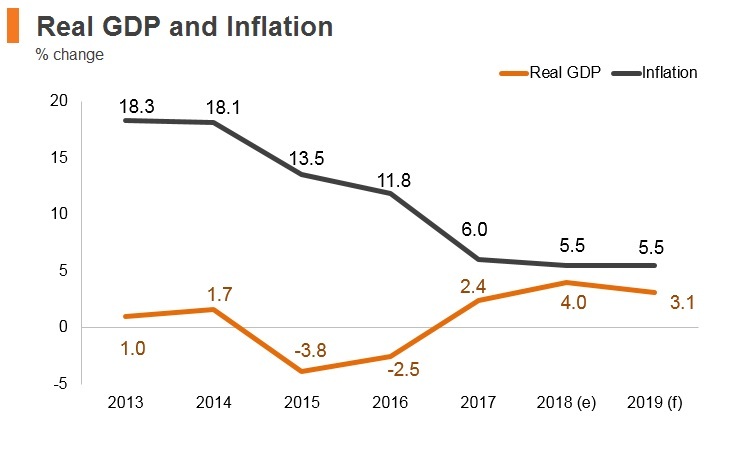 The lack of meaningful structural reform, essential for long-term growth, also poses a near-term risk to economic stability. 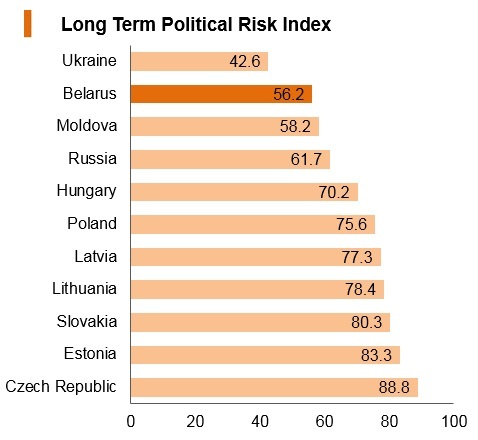 The dominance of the Belarusian state across all sectors of the economy, and its dependence on Russia for trade and economic assistance, are major deterrents to investors. 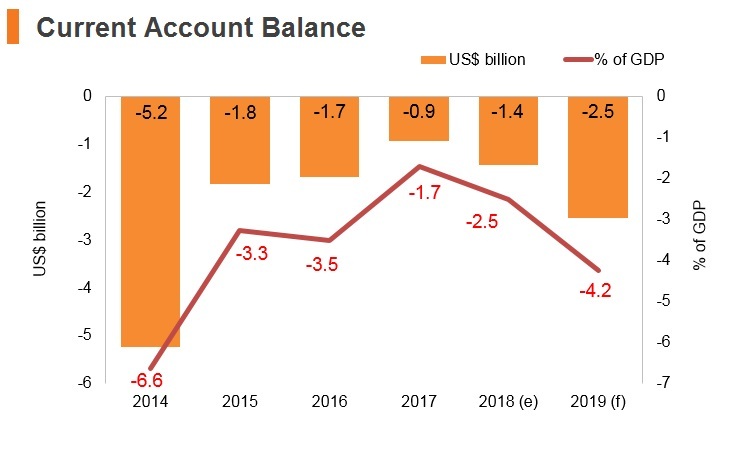 Businesses currently benefiting from inexpensive utility costs, owing to cheap Russian oil and gas, are at risk of experiencing a cut to supplies in the event of any deterioration in relations with Moscow. 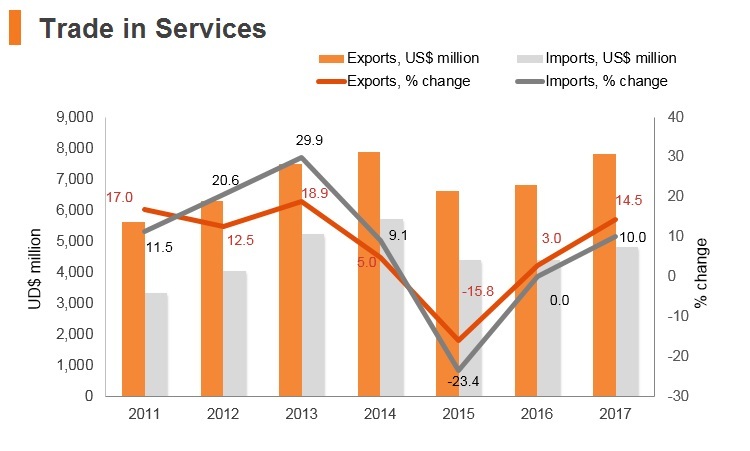 Trade and economic diversification remains poor and reliant on Russia and the hydrocarbons sector, where both elements bear significant downside risks in the medium term. Companies also face high costs to trade due to a heavy bureaucratic burden, along with elevated labour taxes to employ workers. 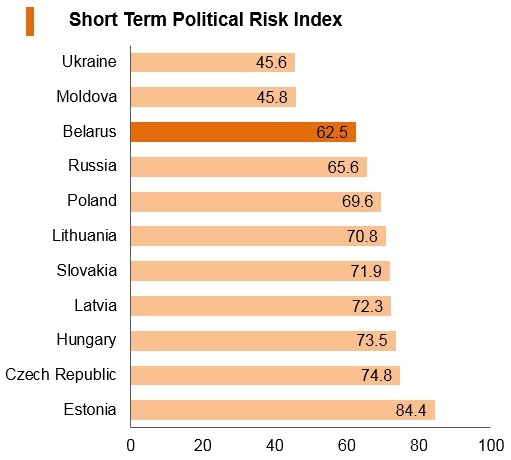 These risks are partly offset by Belarus' stable security environment and highly educated labour force, which somewhat improve the country's operating environment. As an important step in accommodating greater synergies between Hong Kong and Belarus, HKSAR passport holders have been allowed to visit Belarus visa-free for 14 days from February 13, 2018, following the entry into force of the CDTA between Hong Kong and Belarus on November 30, 2017. Belarus has a DTA with mainland China. Belarus has BIT with mainland China that entered into force on January 14, 1995. No visa is required for short-stays (14 days).